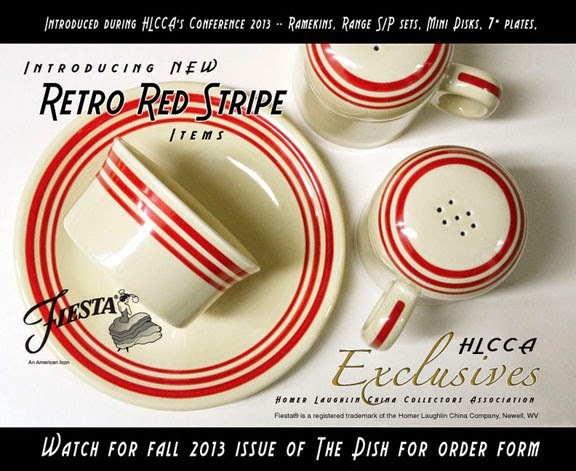 On the HLCCA drafting table since 2007, Retro Red Stripe was introduced during the HLCCA Conference 2009, Pittsburgh PA -- a perfect location since the original red stripe Fiesta line had also been introduced in Pittsburgh some 73 years prior. 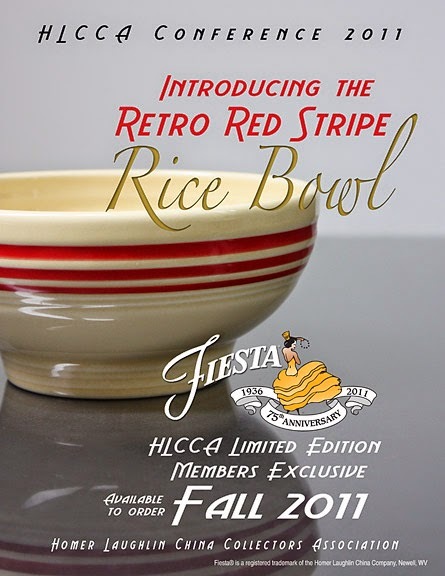 were introduced during Conference 2011.
then later offered in the HLCCA website. 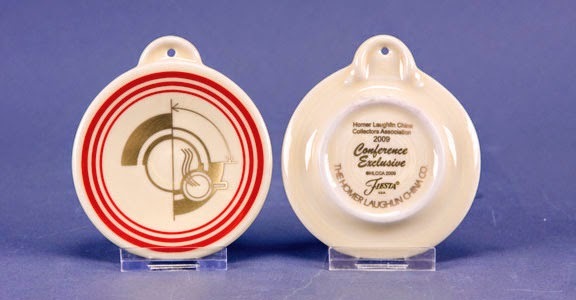 and available for sale in the fall 2011. 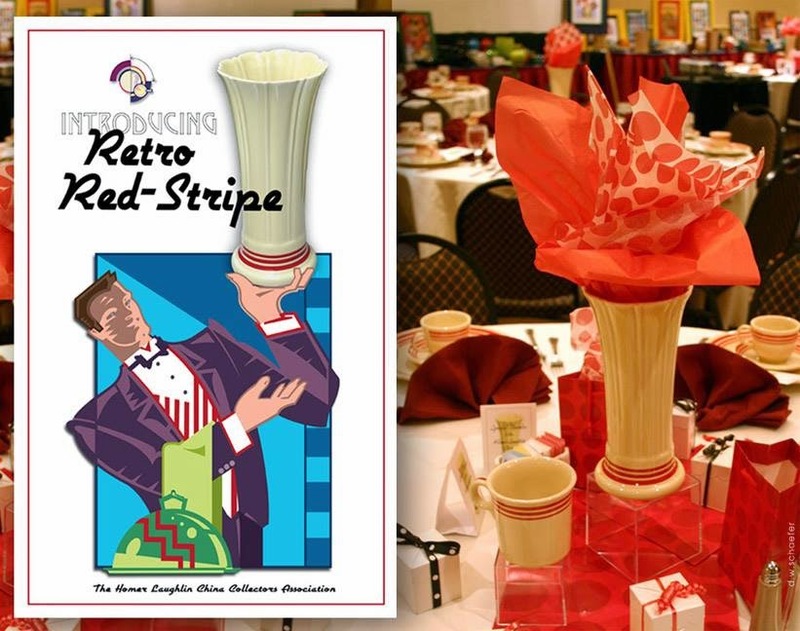 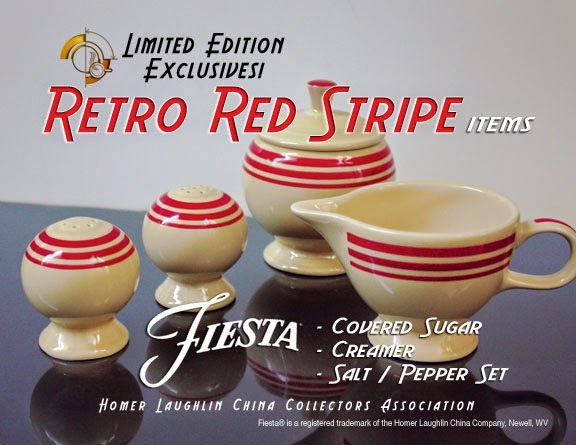 During HLCCA Conference 2012, Red Stripe carafes were auctioned off with proceeds benefiting the Tri-State Area Tuition Mission Foundation (formerly the Dollars for Scholars Scholarship Program) with funds earmarked to go to students of families employed by Homer Laughlin China Company or students living within the local East Liverpool/Newell school districts. 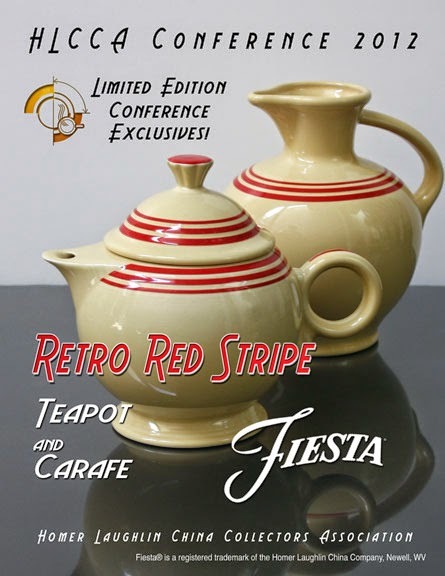 was the Conference exclusive given to all attendees. 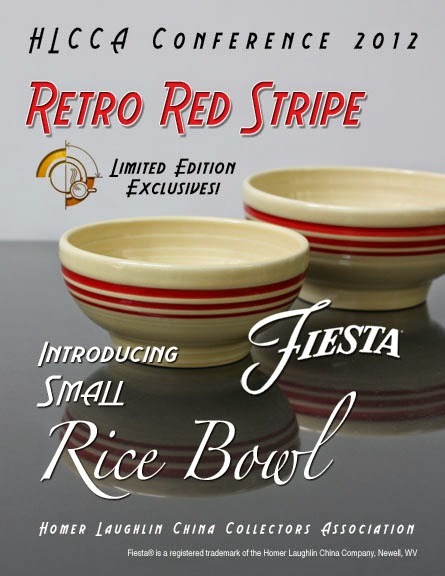 The small rice bowl was introduced during Conference 2012 and was offered for sale during the fall 2012. 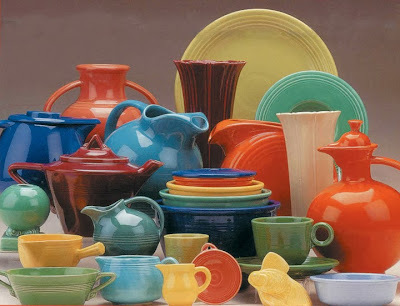 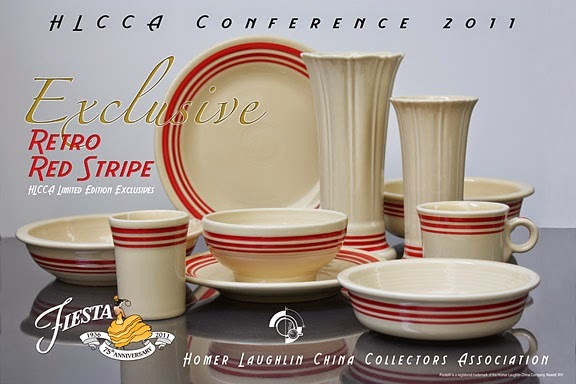 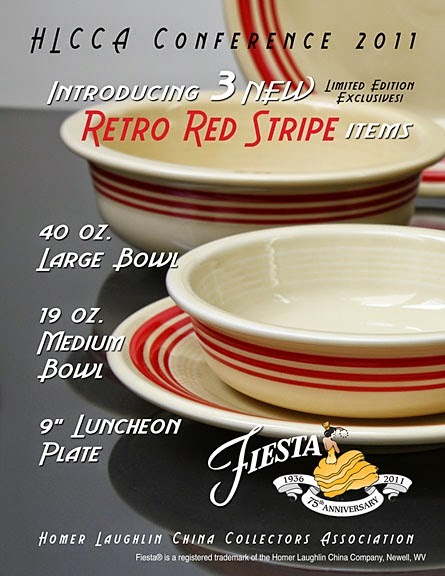 Introduced during HLCCA Conference 2013, the range top shaker set, ramekin, mini disk pitcher and 7" salad plate were offered for sale during the 2013 Saturday Show & Sale event, then later offered in the HLCCA website.